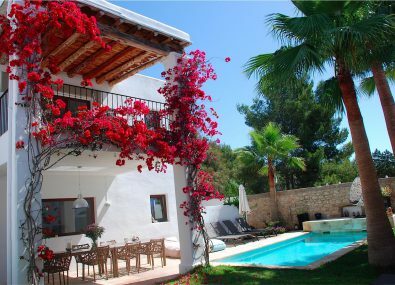 One of the best located villas in Ibiza. 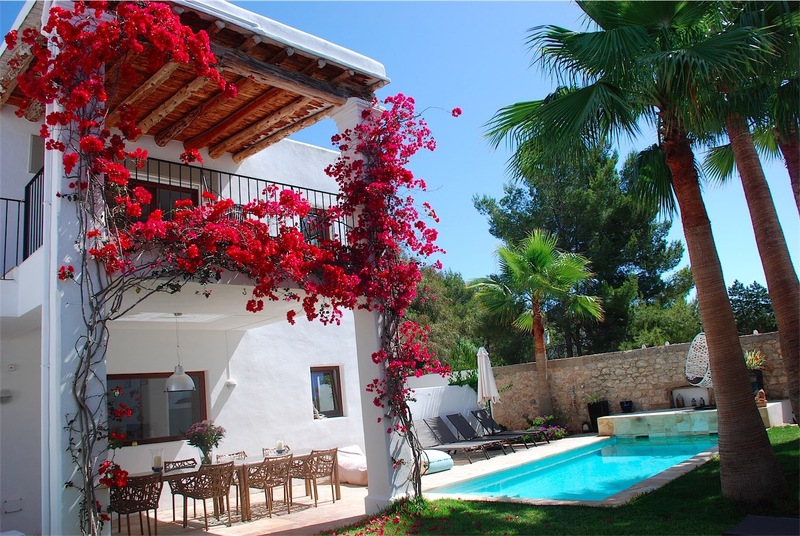 Location location, location, so important when choosing your villa to rent in Ibiza! 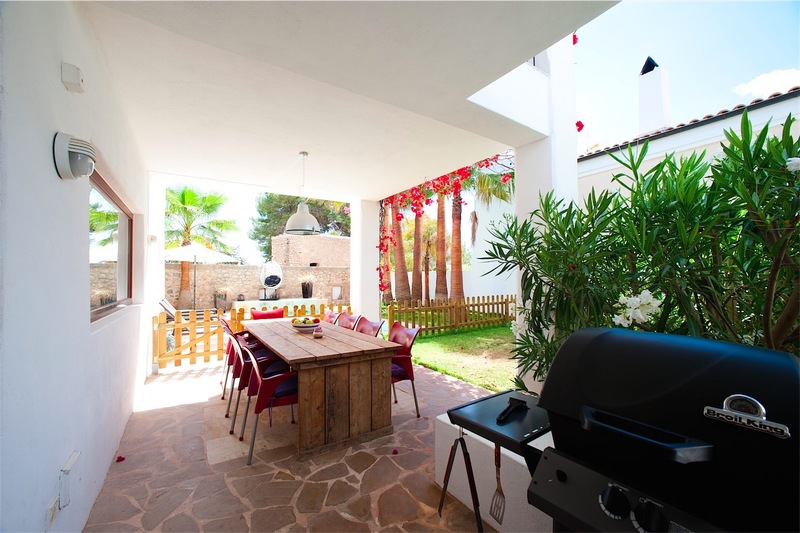 Villa Caballito is the perfect choice, just a few minutes stroll from the centre and beaches of St Eulalia. 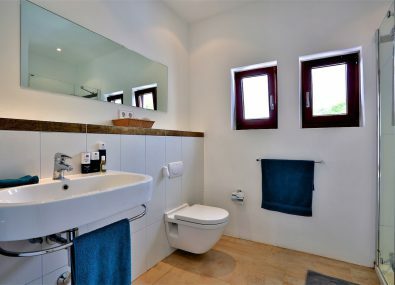 Ideal for those wishing to be close to all the amenities whilst enjoying the peace and quiet of a secluded location. 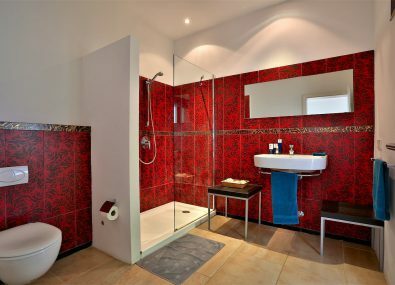 The contemporary design and tasteful decoration gives the villa a sense of luxury and comfort. 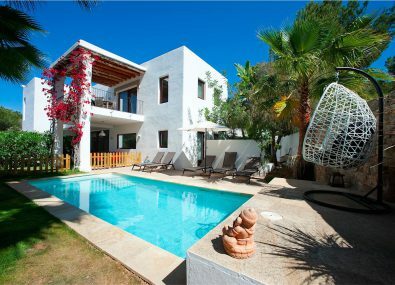 With four bedrooms, three bathrooms, spacious open plan living areas and pretty gardens, it’s one of the best villas in Ibiza, perfect for a family or group holiday. 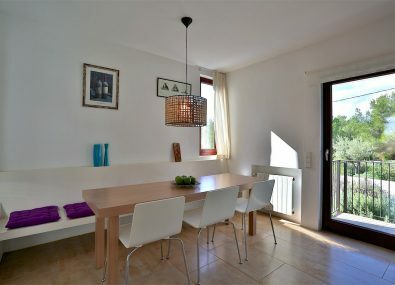 As you enter the villa’s spacious living area, the light open plan space is immediately welcoming and inviting, with natural light flooding the rooms. A huge corner sofa is the perfect spot to relax and recharge after a busy day, or to enjoy some downtime watching the flat screen TV with English channels. The large glass sliding doors give an excellent view of the picturesque garden and pool area, and offer easy access to the outside dining area. An open staircase leads up to a landing area and the living space is air conditioned throughout. High speed WiFi, CD, DVD and iPod dock are provided for your use. 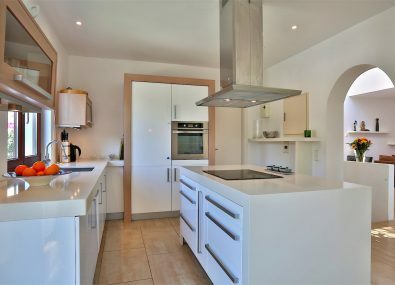 The villa’s kitchen is modern and clean, with sleek smooth surfaces and a blend of white and stainless steel, incorporating an oven, hob and microwave. Well equipped with modern appliances, including a Nespresso coffee machine, dishwasher, fridge and also a fridge freezer. 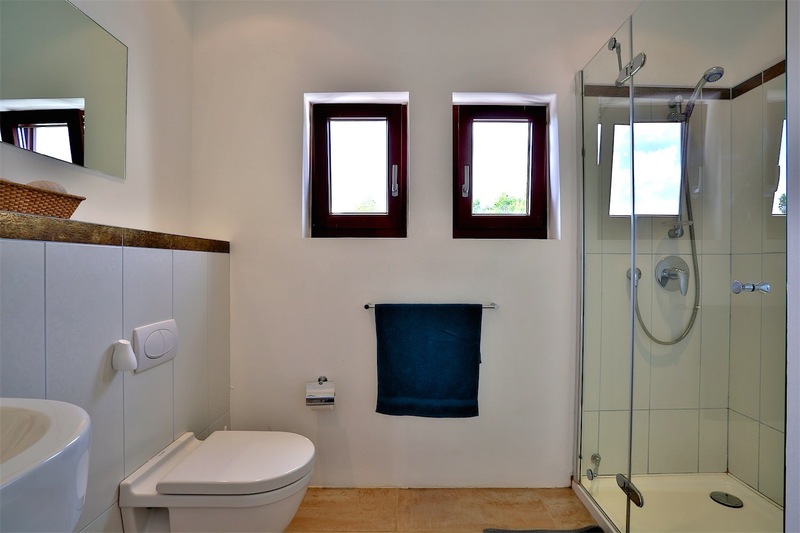 There is ample space to cater for family and friends. 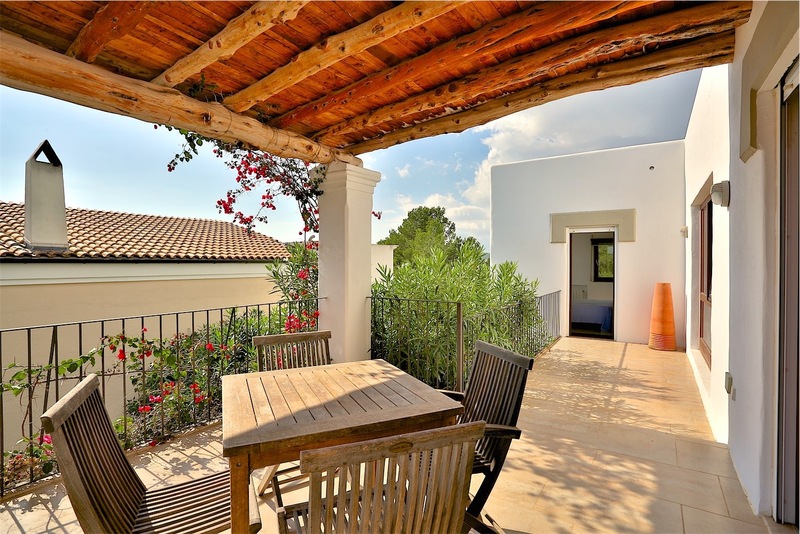 The doors lead out to the garden and exterior dining space, where there is seating for eight-ten people. 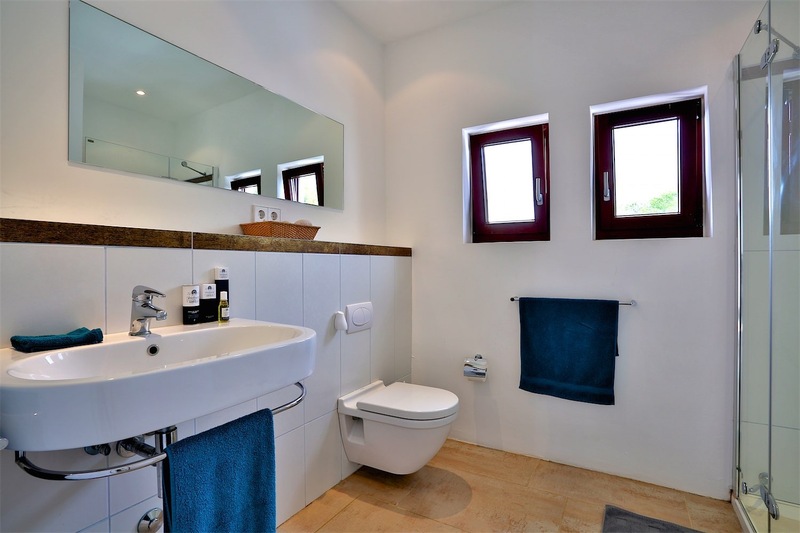 Large tastefully decorated double bedroom with en-suite bathroom featuring a walk in shower. 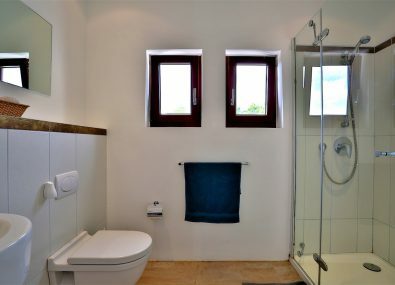 Guest WC at the villa’s entrance. Twin bedroom with small balcony. 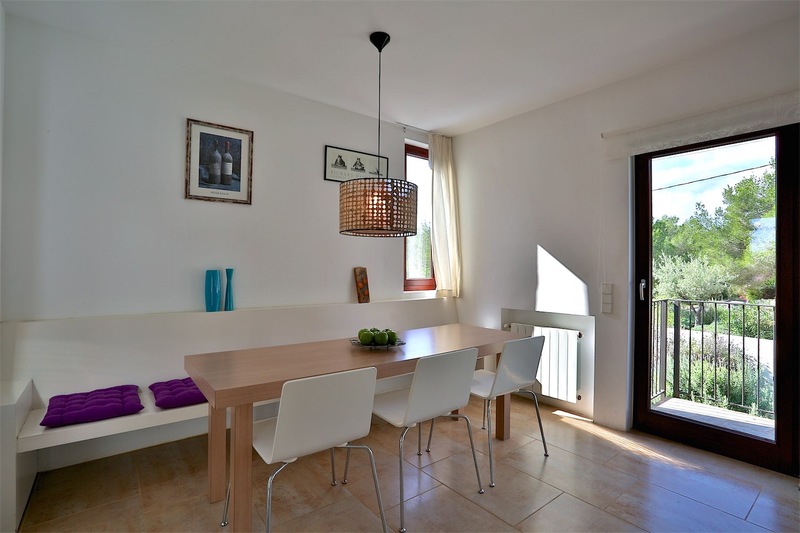 Twin bedroom with door leading out to the shared terrace with views over to the church of Santa Eulalia. 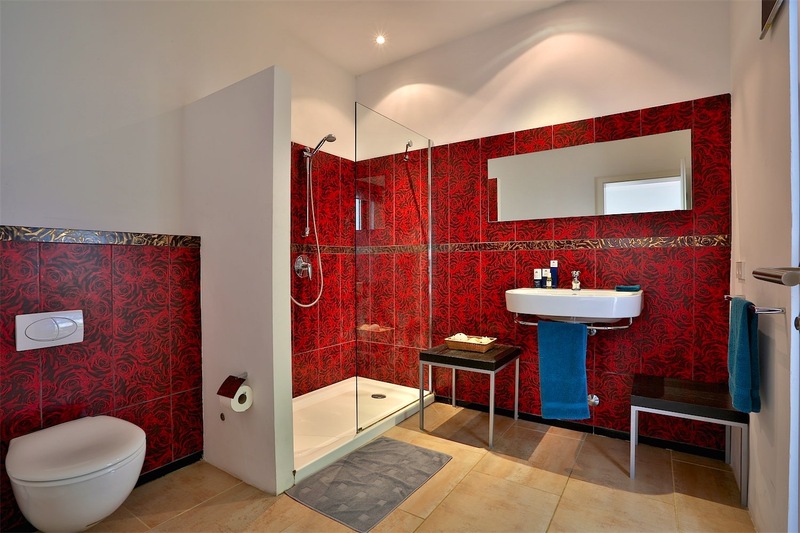 A shared bathroom for these two bedrooms features a large walk in shower. Master bedroom with king size bed, this room is also one of the most appealing factors of the villa. 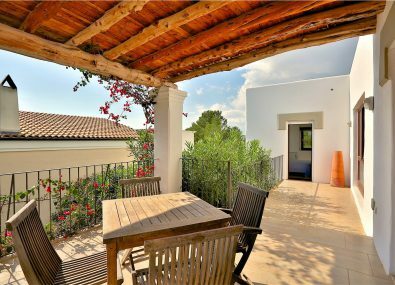 With well-appointed elegant furnishings and artwork, the suite also boasts a walk in wardrobe and a spacious open plan en-suite bathroom with walk in shower, bath and views overlooking the pool and garden areas. 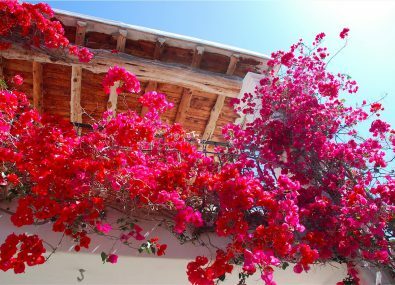 Glass sliding doors lead out to a large terrace covered in pretty Bougainvillea, with views down to the town and sea. 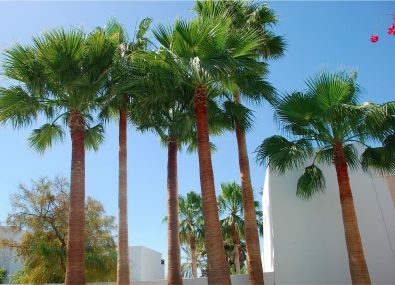 All the bedrooms also have air-conditioning. 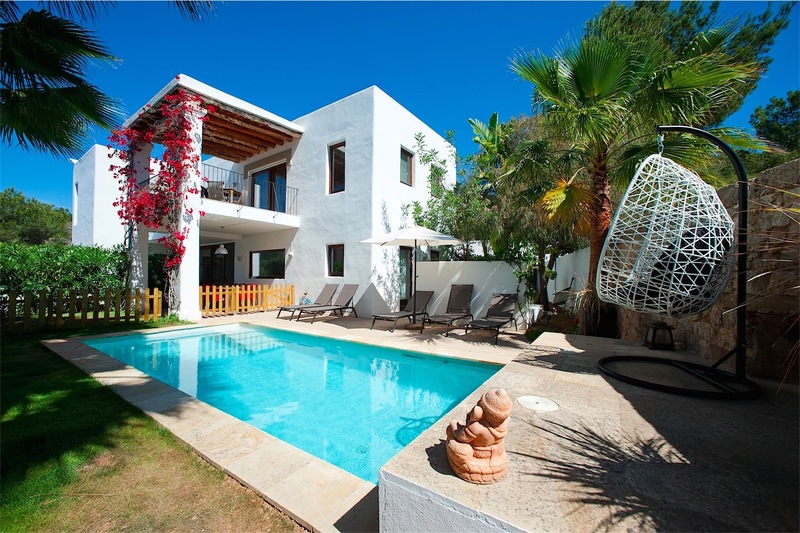 Villa Caballito is private, secluded and also not overlooked by other properties. 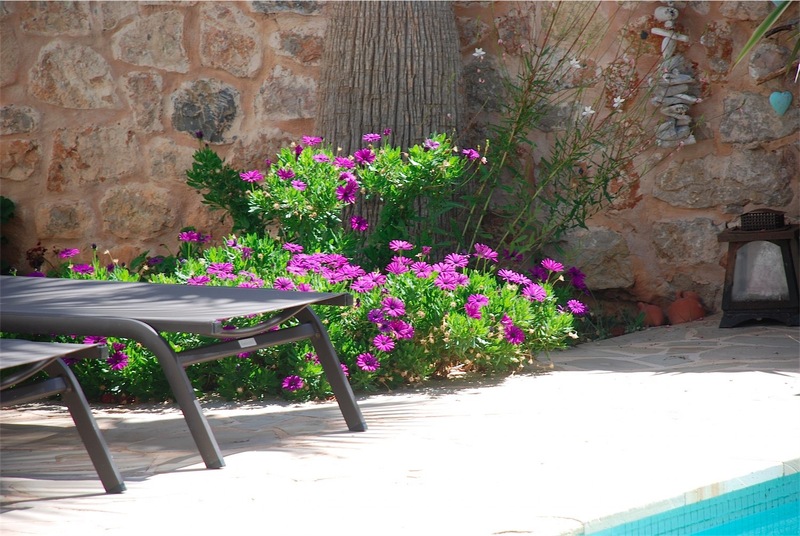 A pretty stone wall encloses the lawned gardens, offering guests privacy and the feeling of seclusion. The private swimming pool measures 7m by 3.5m and is surrounded by carefully maintained lawns and terrace areas with comfortable sun loungers and umbrellas. 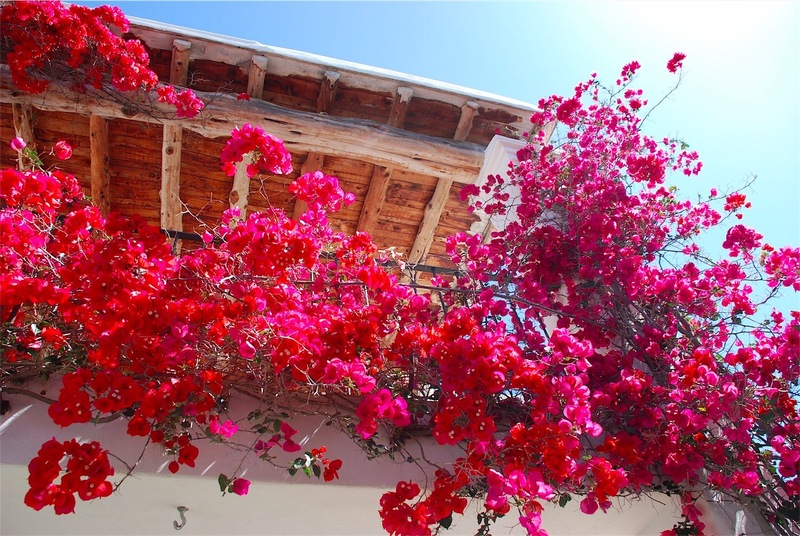 Palm trees and Bougainvillea add to the eclectic ambiance. 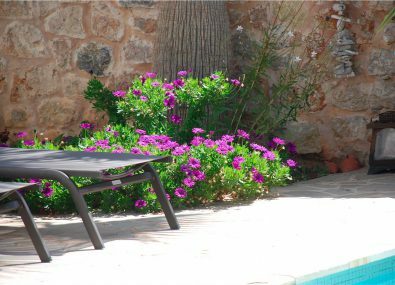 There is also a raised platform equipped with a daybed, an ideal chill out spot. 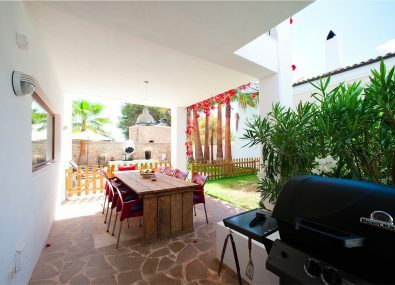 The villa’s alfresco dining area, together with gas BBQ, offers a great space to cook, drink and entertain. 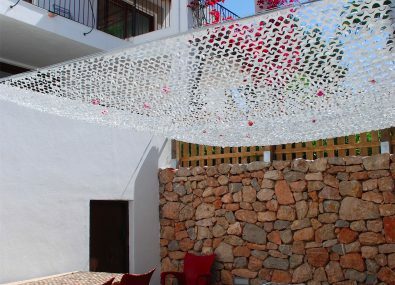 In addition, the outdoor area has adequate lighting for summer evening gatherings. 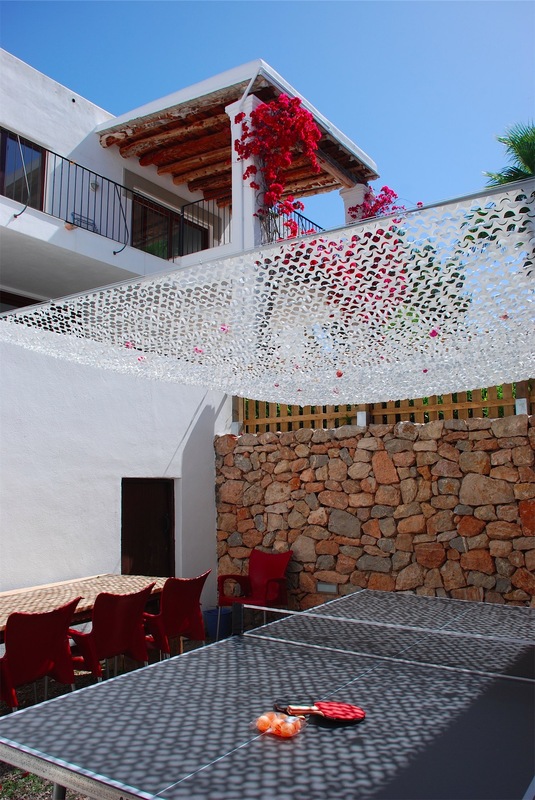 Located within the gardens is a new games area together with table tennis, darts board, various games and a trampoline. Finally the villa also features a stocked bar!